Custom-made insoles can help reduce any discomfort or pain you feel when walking or running. Foot comfort depends on the large number of bones, joints, tendons and ligaments in your feet being in perfect balance. If anything is outside the normal range when you stand or walk, you may experience pain which can change the function of your feet and your walking pattern or gait. If left untreated, a simple problem can affect your foot posture, balance, and the overall health of the joints and tendons all the way into your lower back. 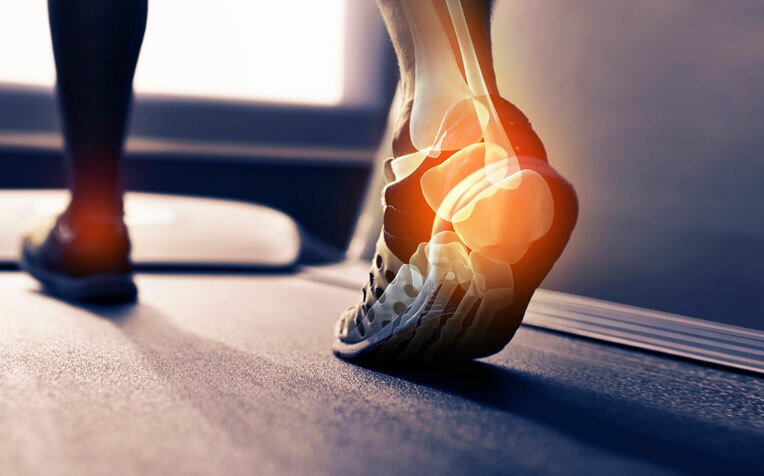 This is when a podiatric biomechanical assessment and custom-made orthotics or insoles may be necessary and very helpful. The first step is to determine the cause of your foot pain or discomfort. At Burswood Health Podiatry, we perform a complete clinical examination to assess general foot health and gait pattern. We then use a 3D Scanner to create a detailed image of your feet. 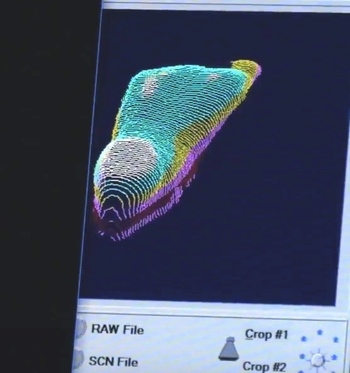 The scan analyses the contours of your feet, and is then used to produce custom-made orthotics or insoles. We combine detailed measurements with the scanned images to create a customised prescription – and we then liaise with the laboratory throughout the process of ordering and making your custom-made orthotics or insoles. Custom-made insoles are specifically shaped to fit your feet in order to support your feet in the best possible way when you are wearing shoes. The custom-made insoles guarantee that your weight is supported in an optimal way, thereby avoiding excessive pressure or friction on certain areas of your foot. This helps reduce and resolve any pain you may have been feeling. Because we have assessed your gait, we know your custom-made insoles will properly support you when you walk. As you adapt to your new custom-made insoles, we may need to make minor corrections and we make those adjustments during your follow-up consultation at the clinic. Burswood Health Professionals is a multi-disciplinary clinic. Our podiatrists work closely together with our occupational therapists and chiropractors. The body is a interconnected kinetic chain with many ‘moving parts’. Therefore, optimal foot health can be affected by low back or knee problems and various muscle imbalance problems. Our team is focused on analysing and treating complex, interconnected problems. And we love helping people achieve optimal foot and spinal health! Are you looking for custom-made insoles? If you feel you could be more comfortable when you stand or walk, come and see our podiatry team at Burswood Health. You will find us across the East-Perth Causeway in Burswood at the corner of Harvey Street and Shepperton Road. We look forward to seeing you walk out our door with healthier feet and very comfortable custom-made insoles!